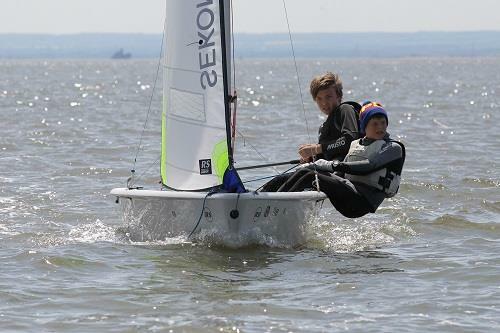 One hundred boats have now entered the SEKONDA RS Feva UK National Championships taking place at Weymouth & Portland National Sailing Academy this Bank Holiday weekend. Teams from The Netherlands & Lithuania will also be competing as they take advantage of racing against some of the worlds top Feva sailors at the superb Olympic venue. Registration opens at 10am on Saturday & boats will be able to join in some practice starts in the afternoon. Racing will take place in the harbour & the fleet will be split into flights with all boats having opportunity to race each other in the qualifying series of three races on Sunday. On Sunday evening the class will hold a UK AGM & a hog roast for competitors. The fleet will be split into Gold & Silver flights for the final series of 6 races taking place on Monday & Tuesday. SEKONDA continues to support the UK Nationals for 2014 other class sponsors who will be providing prizes & support are Volvo Cars UK, Typhoon Covers, Fernhurst Books, the 405 Bursary Trust.